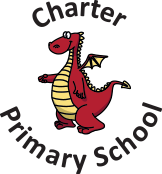 We are part of the national network of challenge partners offering school to school support and advice. Our school leaders carry out reviews in other schools across England and we host our own quality assurance review here in school each year (QAR). We collaborate as part of the North Wilts Teaching Alliance (NWTA) in association with Royal Wootton Bassett Academy who provide quality training opportunities. We host students who are undertaking the teaching training programme through the academy. Click here to read our most recent QAR. We also work closely with the local schools across Chippenham.